Successfully Added Travel Battery Charger - AA, AAA size to your Shopping Cart. The most convenient and portable solution for recharging your batteries is now available. This Travel Battery Charger is great to carry around and directly connects to a power socket for instant recharging of up to 4 AA or AAA rechargeable batteries. Easy to use and extremely portable, this compact Travel Battery Charger is smaller than a cell phone and can be conveniently carried around in your bag/backpack. Along with the included travel adapters and 100-240V power supply, you can use this amazing gadget anyway across the world. Best of all, this Travel Battery Charger includes trickle charging, which will make sure your rechargeable batteries are fully topped off! 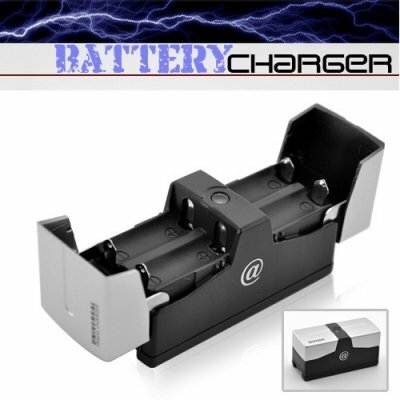 Just place up to 4 rechargeable AA or AAA batteries inside and connect it directly to any power socket for instant battery charging, no others cables needed or power adapters needed! With this convenient way of recharging your batteries, you can now be sure your favorite gadgets, like your MP4 Player, CREE LED Flashlight, Digital Camcorder, Gameboy, and other power hungry devices will always have a power source available. This Travel Battery Charger is a useful tech gadget that is highly favored by travelers thanks to the low price and compact form. Available in our warehouse right now, order today and we'll express ship it out tomorrow. Brought to you at an unbeatable price from Chinavasion - your best source for high quality, low priced gadgets. How is this Battery Charger so cheap? I see others online for over 10 times the price! We bring you this Battery Charger at an amazing factory-direct price, which means no middle man, no markup!